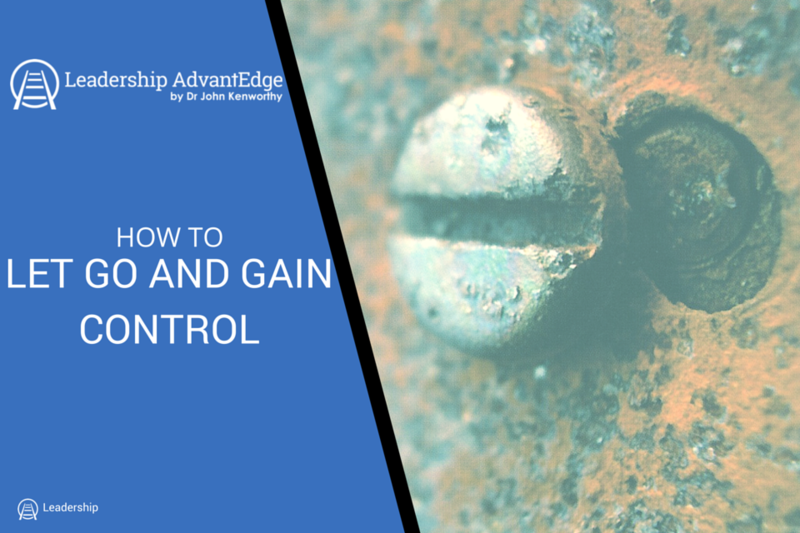 What helps distinguish leaders and managers is about control and, quite literally, how “hands-on” you are. If you have ever learned to play the game of golf, the chances are that you grip the club tightly. this is basically holding onto a stick that you will swing through the air and hit a ball. Allowing the club to “follow-through’ – if you don’t hold on tight, the club might just go as far as the ball. New golfers have to learn how to ‘let go’ – to relax their grip. If a tight grip is a ten on a scale, we want a 4 out of 10. The same is true of leadership and the way we hold on to our people. Hold on too tight (micromanage) and people have little freedom to use their own skills and strength. Hold on too tight to the club, and it is the golfer doing all the work. So the question is: “who should be doing the work?” The manager or leader or the member of staff? The golf club is weighted for a reason. If you allow the club to do the work, the swing and striking of the ball, becomes almost effortless. Relax your grip on your team and allow them to excel at what they do, and the work becomes almost effortless. Once you know, as a golfer, that the club is designed to do the job of striking the ball, and your job is simply to swing and allow physics do to its job, you can relax. Maintain just enough control to ensure alignment, direction and distance and the ball will fly according to the club used, and the size of the swing. If you want a long distance, you use a long club and a full swing. A short distance off the fairway onto the green requires a shorter distance club and a smaller swing. The power to achieve the distance lies in the tool being employed and the chosen swing – the rest is pure physics. So what can we learn as a leader? Isn’t it the same? Make sure that you are using the right tool – the person needs the right skill set (and/or mindset) to do the required job. The leader’s job is to have a little control to ensure that the skills are employed in the right direction for the right distance – that’s about judging how far it is to the goal and translating that into the swing itself – in the case of people, the swing is influence and motivation… let the staff do the rest. And just like that golf ball landing exactly where you both planned and wanted it to be for the next shot. You celebrate. Unlike golf, though, praise your club and thank them for their effort. After all, they did all the work! When we use this metaphor on our golf leadership workshops, the feedback is instant. Hold tight onto the club and the golfer has to use a great deal of effort and the ball often ends up being pulled, pushed, sliced or hooked – going two-thirds of the required distance. Relax the grip maintaining directional control and the ball flies straight to the full distance of the club and swing used. When the going gets tough, leaders in control let go! Yet, new golfers, in particular, find their grip tightening in more difficult situations. The very moment when they need to be most at ease, most truly controlling, fear envelops them, pressure builds, the grip tightens, and the ball goes astray. The same is true of business leaders under pressure. Listen to the media hype about the doom and gloom of the current economic situation and fear can easily creep into the mind. Many leaders respond by tightening their grip on their people and their business, believing that the more tightly they hold, the more control they have and the more likely they are to survive and pull through. Albeit, they expend huge amounts of effort, feel incredibly stressed, and more likely to explode a blood vessel! Tough times in business are better served by leaders keeping a clear head, a loose grip, maintain direction and let your people do what they do best. Let’s face the truth here, even a behemoth the size of AIG can’t control the market, what makes you think that you can? My advice, ignore the noise (media doom and gloom), look for the opportunities and focus on the goal and it’s direction, choose the right club, loosen your grip and let your club do the work. Loosen your grip and you’ll have more control.